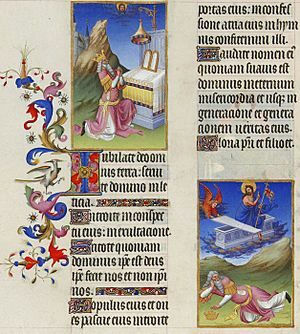 When talking about manuscripts, and printing in general, a folio is a sheet, which is used on both sides. One of the sides is known as recto, the other one as verso. Lenox copy of the Gutenberg bible printed in folio format. Folio Facts for Kids. Kiddle Encyclopedia.